Heathhall Business Centre is home to more than 50 local enterprises on its 26-acre mixed-use business park and industrial estate. As a small family run business, Heathhall Business Centre believes all business benefit from working within a community. 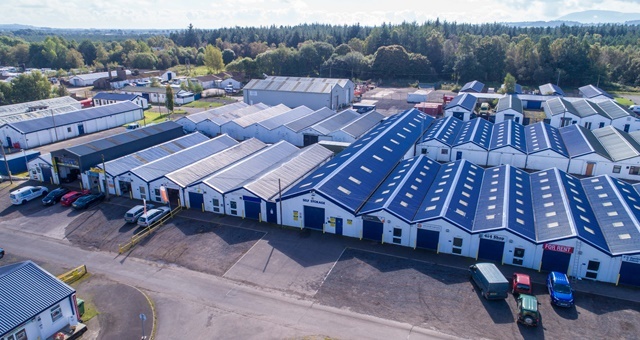 Whether your business needs a Trade Counter, Office, Retail Space, Workspace Unit or even self storage, Heathhall Business Centre can provide your business with the ‘perfect space’ it needs to grow surrounded by the expertise and support our community is able to provide. The business centre was established on the site of an old WW2 airfield and is proud to boast of its heritage with street names such as Spitfire Crescent, Lancaster Lane and Bomber Harris Green to name but a few! Like the brave ‘community’ of men and women who served here with such valour in darker times, Heathhall Business Centre believes that together our ‘community’ of entrepreneurs and work colleagues can achieve great things too.